Since the weekend conditions have deteriorated and water levels have risen to just under 0.9 metres. Storm Gareth has lashed the northwest today and angling effort has been limited. Further heavy rain and strong winds are forecast for tomorrow and water levels look likely to stay at flood levels ahead of the St. Patrick's Bank Holiday Weekend. The total salmon angling catch on the Drowes for 2017 was 1076 salmon of which 397 were released. This compares to a total angling catch in 2016 of 1124 of which 332 were released. This represents a C&R rate of 36.9% a 7.4% increase year on year. The total number of spring salmon reported was 292 of which 120, 41% were released. For method of capture during 2017, fly fishing remained the most successful method accounting for 39% of the catch followed by spinning 31%, prawn/shrimp 15%, worm 11% and unknown/not stated 4%. The peak month for catches was June followed by July and May. Nationally the 2017 salmon angling catch was 27,722, of which 12,562 were released. Notably there was a further decline in participation levels with total salmon licence sales falling to 18,212. More worrying was a marked decrease in logbook returns, falling to just 54.5%, the lowest return rate since the very early years of the introduction of the logbook scheme. To put this in perspective, licence sales, the number of people participating in salmon angling, has fallen by 52% since 2002. More logbooks, 18,554 were returned in 2006 than were sold in total in 2017 and the return rate in 2006 was 68%. 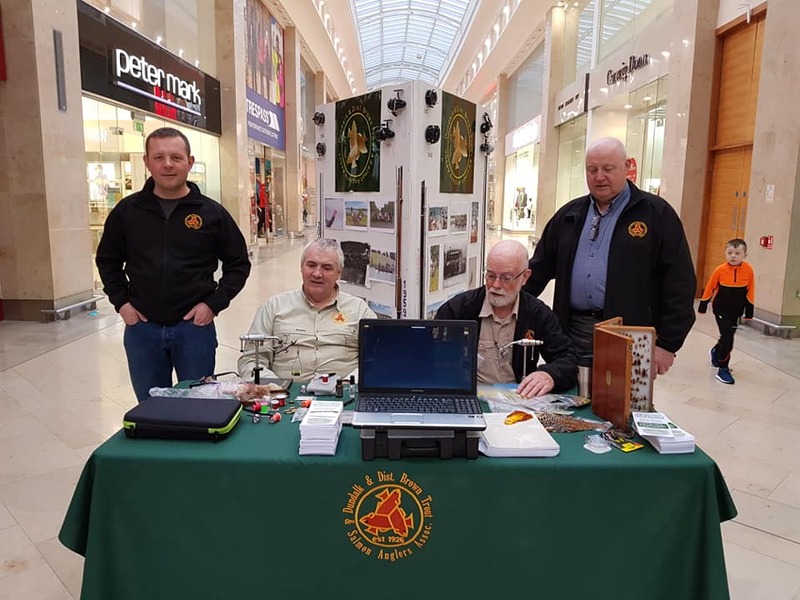 Some clue to the reasons for the sharp decrease in logbook returns may be found in the general disaffection among the salmon angling fraternity concerning current IFI management policies and of the implementation of the National Strategy for Angling Development in particular. 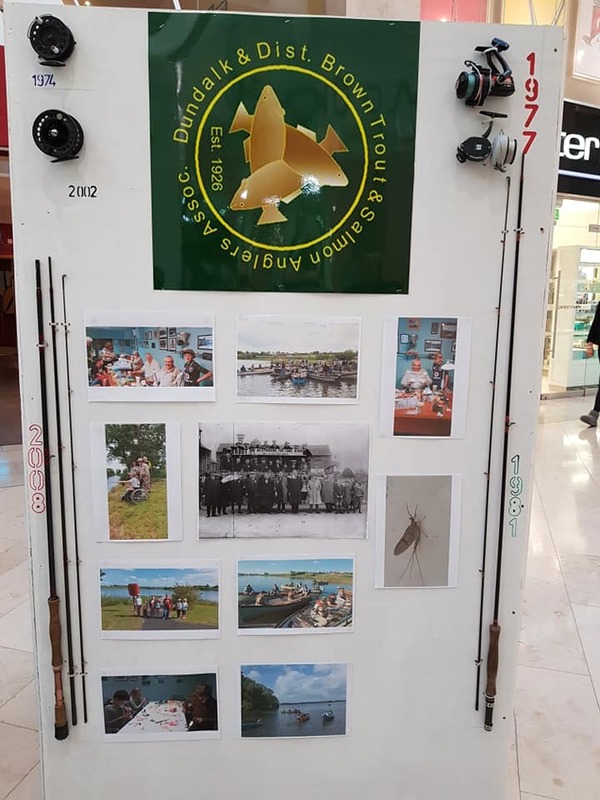 Now in the fourth year of a 5 year, €25 million programme, the national angling strategy which promised to deliver 40,000 extra angling tourists, €96 million extra in angling revenue and 1800 extra jobs has failed. Salmon angling contributes the greatest share of overall angling spend. It is also the only sector where angling participation levels can be accurately assessed through salmon licence sales. The report just published confirms that not one new angler has participated in salmon angling as a result of the NSAD. Participation levels continue to decline even as our population increases. Visiting salmon angler numbers also continue to decline. In the introduction to the 2017 report it is stated that "Visiting anglers from France and Germany continue to increase year on year". However nationality data recorded since 2002 shows that the number of visiting French anglers has decreased by 17%, German anglers by 41%, British anglers by 68% and Northern Irish anglers by 65%. These are the facts of Irish salmon angling today. 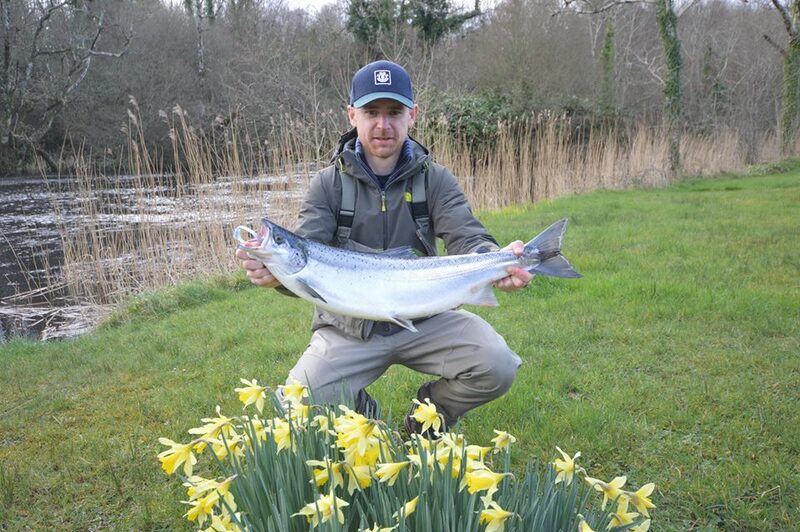 In this International Year of the Salmon it is time for IFI to decide whether it is content to continue to manage the decline of Irish salmon angling or commit to arrest that decline and engage with stakeholders in protecting and developing the salmon resource for the future. 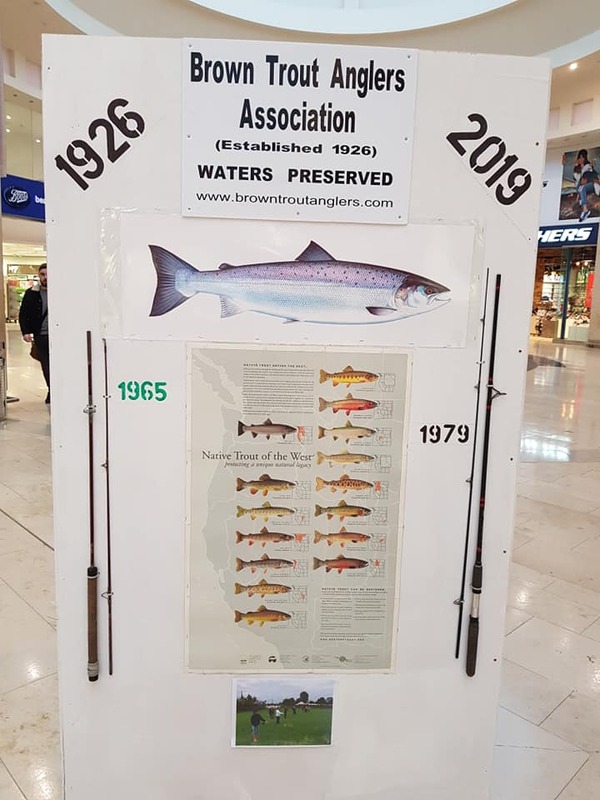 This is an awareness campaign targeted at members of the public and supermarket consumers who may not be informed about the truth behind the salmon they buy from supermarket shelves. The salmon farm industry is a dirty, greedy and environmentally damaging industry to Irish Sea Trout and Salmon populations. 99% of salmon stocked on super market shelves are sourced from salmon farms. 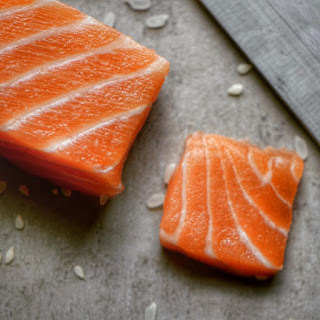 Farmed salmon products usually hide behind fancy packaging and unclear words such as Organic, Sustainably Sourced, Responsibly Sourced, Fresh Never Frozen, Sourced in Scotland, Ireland etc. We believe the Irish public are being mislead when buying salmon products on supermarket shelves. We are calling for a complete Boycott on all supermarket salmon products and for the Irish Government to step up to the plate and examine ways of taking salmon farms off the Irish coast. 1. To start the campaign we need funding to design and print 10,000 full colour double sided information flyers that will issue to supermarket customers outside supermarkets across the country. The more funding we get the more leaflets we can roll out. 2. Contact your local Cllr and TD requesting that you are not happy with Salmon Farms on the coastline and seek their removal. - Sea Lice from salmon farming have long been implicated in the collapse of sea trout stocks along the west coast of Ireland. - Dr Paddy Gargan commented that increased mortality of wild salmon due to the impact of sea lice from salmon farming can result in salmon stocks not reaching spawning targets or not being at favourable conservation status as required under the EU Habitats Directive. It is critical therefore that sea lice levels are maintained at a very low level on farmed salmon in spring and where this has not been achieved that farmed fish are harvested before the wild salmon smolt migration period. 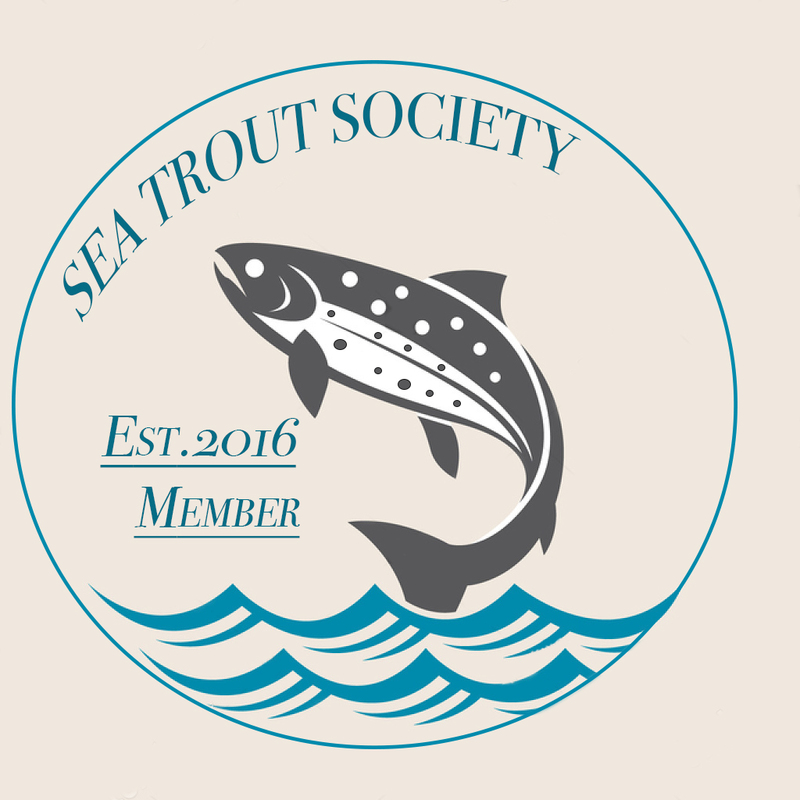 - Young sea trout are forced to run the gauntlet of open-net salmon farms, where sea lice incubated in vast, unnatural numbers on farmed fish latch on to and kill wild fish. ST. ANDREWS – Fewer than 18 tonnes of wild Atlantic salmon were harvested at Greenland this year according to the Greenland Fishery License Control Authority (GFLK). The amount is equal to approximately 5,270 adult fish. It is the lowest catch on record since 2005, when an earlier ASF sponsored conservation agreement was in place. The results indicate a successful first year for the new 12-year salmon conservation agreement that was recently signed by Kalaallit Nunaanni Aalisartut Piniartullu Kattuffiat (KNAPK), which is the union representing Greenland commercial fishermen, ASF, and the North Atlantic Salmon Fund (NASF). The agreement encourages fishermen to limit their take of wild Atlantic salmon in exchange for assistance developing alternate sources of income and support for marine research and conservation projects. “This is great news for wild Atlantic salmon and full credit goes to our Greenlandic partners, especially KNAPK, who showed openness and integrity in the spirit of the agreement,” said ASF President Bill Taylor. Wild Atlantic salmon from more than 2,000 rivers in North America and Europe congregate off the coast of West Greenland to feed and grow. Some spend up to three years in the area before returning to home rivers to spawn. Population analysis shows that on average 75 per cent of salmon taken at Greenland are of North American origin. Because many wild Atlantic salmon populations are critically endangered, the mixed stock fishery at Greenland has been continuously advised against by the international scientific body ICES, and by national governments whose salmon migrate to Greenland such as Canada, the United States, and the European Union. The 2018 harvest was reported at 17.79 tonnes by GFLK, a figure that includes landings from recreational and professional fishermen. The KNPAK-ASF-NASF conservation agreement sets a total harvest level of 20 tonnes for all fishermen. In the most recent five years leading up 2018, reported Greenland catches fluctuated between a high of 58 tonnes and a low of 27 tonnes. In addition to the reduced catch at Greenland, the KNAPK-ASF-NASF agreement led to the adoption of important new management measures including mandatory licensing and reporting for all salmon fishermen. Thanks to the agreement, Greenland salmon fishermen have received support for the development of alternative sustainable fisheries, and assistance was provided to launch a multi-year research program using satellite tags to track adult salmon as they leave Greenland and return to North American rivers. The harvest total provided by GFLK is preliminary. Final estimates will be determined by the International Council for the Exploration of the Sea (ICES) and are usually released in May. Connie Corcoran has dedicated his life to the mighty Blackwater River and, over the years, its currents have shaped him. He is one of Ireland’s great salmon fishing guides, but if the salmon stocks continue to decline, he may be one of its last. This short video by Simon Toussifar takes viewers on a journey through the historical Castle Bernard, the beautiful Bandon River and shows an appreciation for fly fishing for its heritage and recreational value. For Simon Toussifar, the Bandon River is a link back to the past. 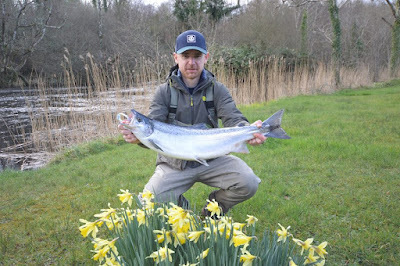 The west Cork artery river, a significant source of Atlantic salmon, was a childhood fishing haunt for the keen angler. It has been some time, however, that Toussifar and other recreational fishing folk have been able to seek out a catch of salmon. The river has hit a roadblock, or as Toussifar calls it a building site in the river itself. Referring to operations being carried out on the river as part of a multi-million euro flood relief scheme, Toussifar says that he has become “highly alarmed” at the amount of suspended solid pollution running downstream from the works. He says that contractors have also used the river as a “roadway for heavy machinery” and has witnessed track machines working in the middle of the river to remove the river bed. The plan is designed to protect the town of Bandon from the menace of flooding that has plagued the town for decades. On November 19th, 2009, for example, the river’s bank bust after heavy rainfall, causing more than €20 million worth of damage to the town. The incident prompted a public outcry and demand for an adequate flood relief scheme. The Office of Public Works (OPW) along with Cork County Council began to develop such a plan in 2010. In 2012, the OPW exhibited plans for the scheme at Bandon Town Hall, outlining the need for defence walls, a new footbridge and, importantly, dredging activities. By 2016, the €16 million project was ready for execution. Its environmental impact, however, remains a matter of dispute. Some experts argue that the scheme’s 3.6km dredging operation breach environmental safety standards and pose a significant threat to the river’s key species, namely the freshwater pearl mussel, eel and Lamprey that live alongside the river’s well-known salmon population. According to ecologist Dr William O’Connor, the Bandon will never regain its lamprey stock partly due to the timing of dredging. Lamprey spawning season is in May, the same time that the OPW dredges the river. According to the project’s Appropriate Assessment (AA) Screening Report, the period between May and September is deliberately chosen to carry out in-river works in order to avoid interfering with the reproduction of salmonids. “There’s a lot more than to a river than catching salmon in it,” warns Dr O’Connor, however, whose company Ecofact was engaged on the project to undertake a fish stock assessment. “Impacts on Annex II listed lampreys were not considered in any effective way,” he says, with the resulting dredging works in May 2017 and May 2018 coming during the “peak of the lamprey spawning season”. “Lamprey habitats are not going to redevelop there again,” Dr O’Connor says. All three Irish lamprey species are noted to be of high conservation value under the EU’s Habitat Directive, under which it is mandatory to ensure the conservation of rare, threatened or endemic animals and plants. In a statement, the OPW said that the scheme had been subjected to significant ecological assessments with appropriate mitigation measures designed to ensure the livelihood of the river’s fish species. As part of that environmental study, it says, consultants “fully considered the impacts of the scheme” and the necessary mitigations measures are outlined and specified in the Environmental Impact Statement (EIS) completed in 2012 and the Environmental Impact Statement Addendum, completed in 2015. The project’s documents reveal that some dredging and non-dredging options were assessed to tackle the issue of flooding. However, the OPW has cited the opted dredging option as “favoured by the public”. In general, Dr O’Connor describes the flood relief scheme as the “most excessive” and “most over-designed solution” that has ever emerged to deal with flooding in the area. He says that current rock armouring installed all around that stretch of river to stabilise its banks is “obliterating” the Cork stream. “I can’t see the river really going to recover from the amount of rock armouring that they’re putting along the entire section,” he said. The large fish passage – reportedly the largest of its kind in Europe – currently under construction to allow for the natural migration of fish at the Bandon Weir is another concern for the ecologist. Dr O’Connor says that the main problem is that it is too large for Bandon’s small weir. This is leading to the entrapment of fish species, he warns. “It’s hard to understand on what planet a fish pass of that size is a good idea to provide fish passage on such a minor weir,” Dr O’Connor says. Dr O’Connor says the weir should have instead been demolished so that fish migration could have been naturally restored. Earlier this year, Paddy O’Sullivan of Bandon Charitable Resources offered to remove the weir, but the OPW rejected the offer, it said, to avoid impeding the project. “Ownership of the weir was not clear, and such an approach was not favoured at that time as the scheme was significantly underway. According to the scheme’s Flood Risk Management Options documents, however, the removal of the Weir would have provided a significant reduction in upstream flood levels. In assessing the possibility of removing the weir, the OPW concluded in its report that, as it is used for hydroelectric power generation and is listed as a cultural heritage site, the benefit of removing it “would be outweighed by the benefit of retaining it”. The OPW also says that the current fish pass has also helped to remove a block to the upstream passage of lamprey. Nevertheless, a proposed design for the fish pass hasn’t been made available to the public for an independent assessment. The OPW, says that they are aware that the scheme’s short-term impacts can be significant, adding, however, that they can be managed in the long haul. For the likes of Toussifar, however, that is little consolation. “It was heart-breaking to watch what was once a thriving ecosystem that held healthy populations of fish, birds, otters, wild plants and tree life all being butchered,” he says.